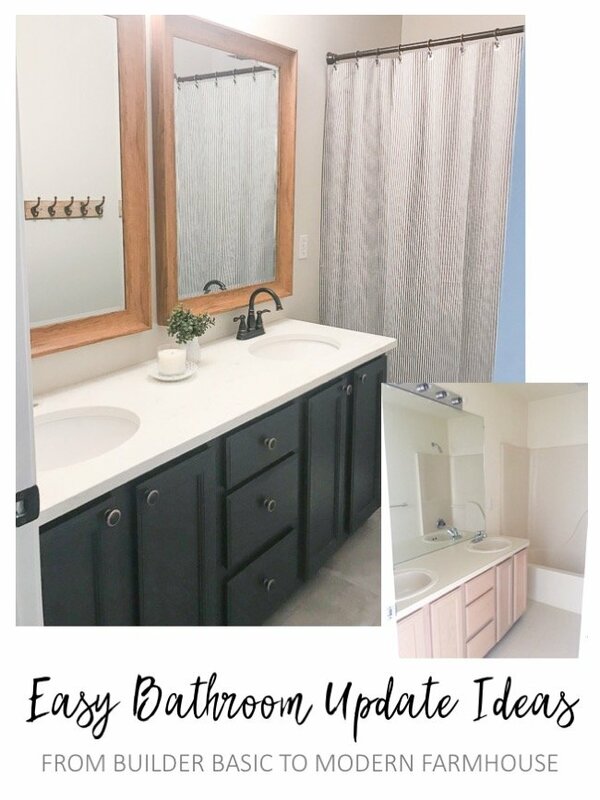 If you’ve seen our recent master bathroom update, then this room design might look pretty familiar! We used a few of the same materials but put it’s own unique spin on it to come off as a continuous design, but with a little more of a fun feel as this was a hall bath for kids and guests. But first, let’s start with the before! More peach, more beauty bars, more wall mirrors. 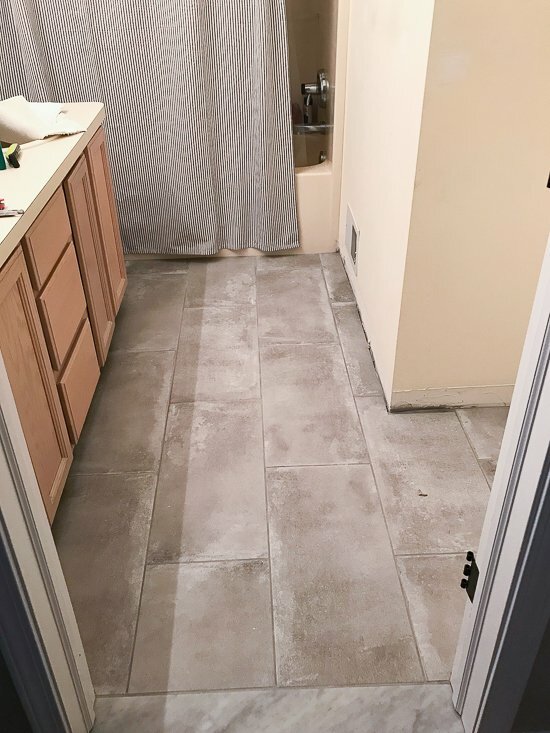 The floor tile in this bathroom wasn’t terrible in the fact that it was clean and neutral, but we wanted to create a cohesive design and update the bathrooms from builder basic so we laid the same concrete look tile throughout. The vanity again wasn’t in terrible shape, but needed a facelift to bring it all together. 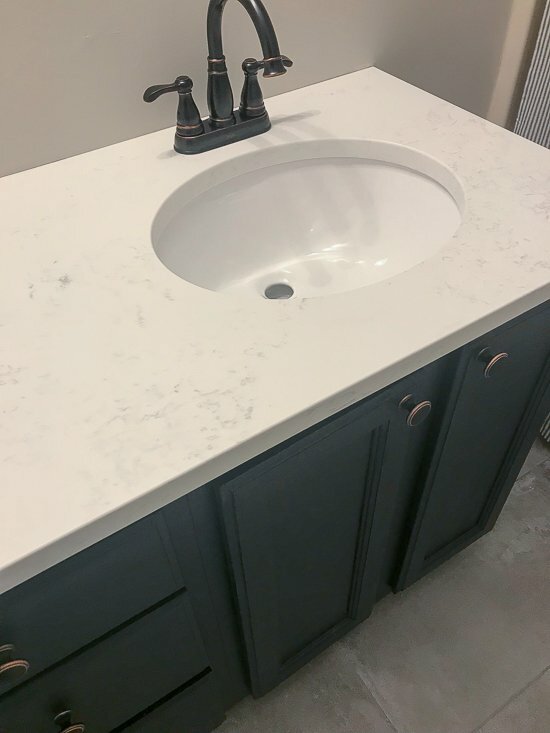 We painted the cabinets in a charcoal chalk paint, and replaced the laminate countertop with a marble look quartz (a splurge item, but so worth it in my opinion!). 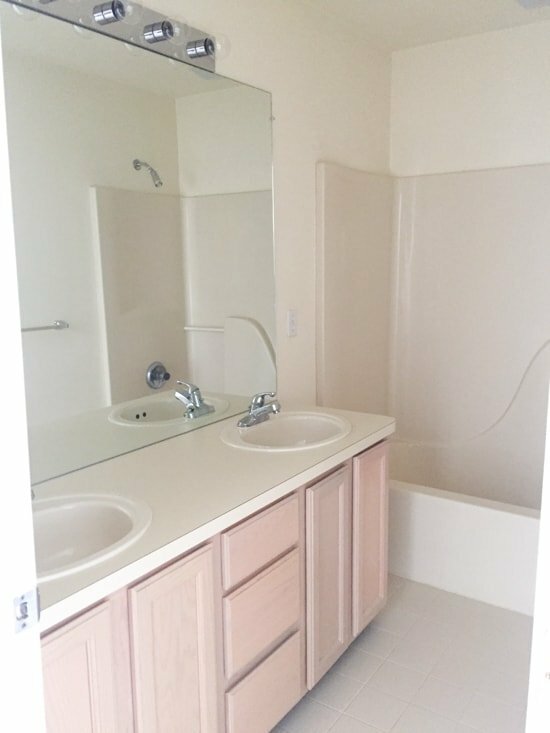 The walls got a coat of Pale Oak by Benjamin Moore, and all of the fixtures/faucets were updated to an oil rubbed bronze finish. Last but not least was removing the beauty bar and replacing it with the same light fixture as in the master, and hanging these two fun mirrors from Homegoods! They were $29.99 each and I love the warmth they bring to the room! 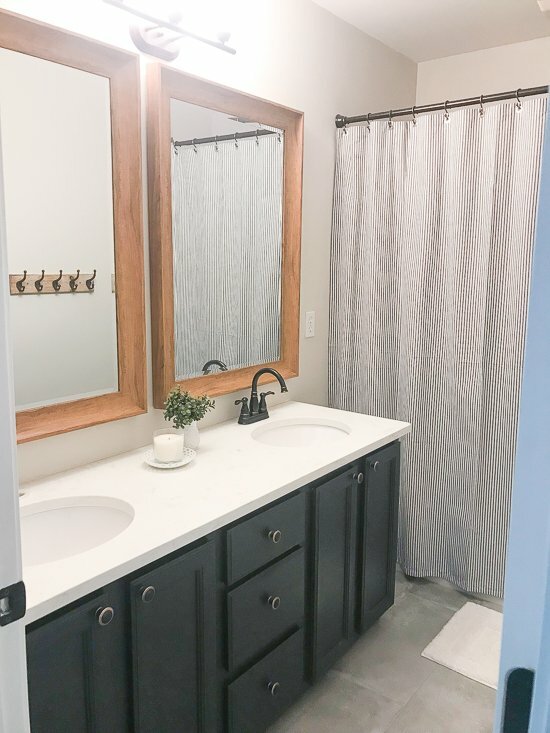 We added a few accessories, rustic hooks for towels, a simple shower curtain, and she was done! 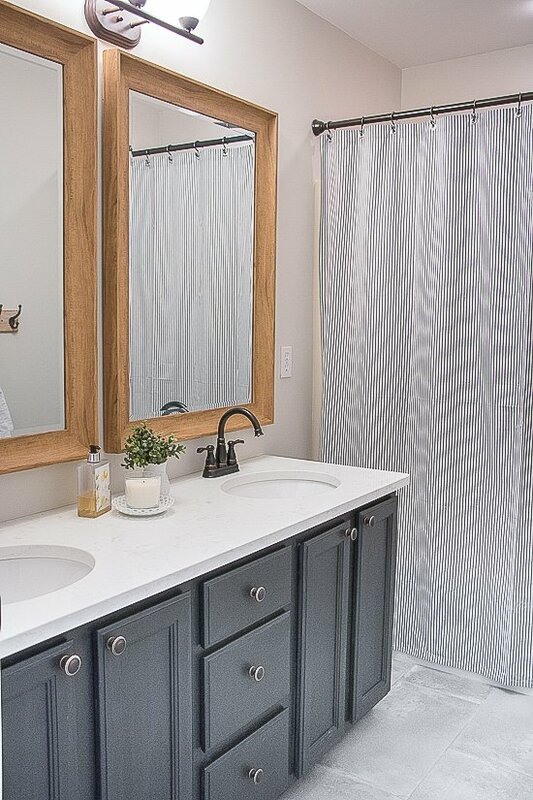 Although a lot of the elements of this room are the same as the master bathroom (the tile, counters, lights and faucets), the room looks different through the use of paint and fun statement mirrors. We kept the overall design simple and had some fun with changing up a few elements at the same time! One last little before and after, and a source list for a few of the items used! 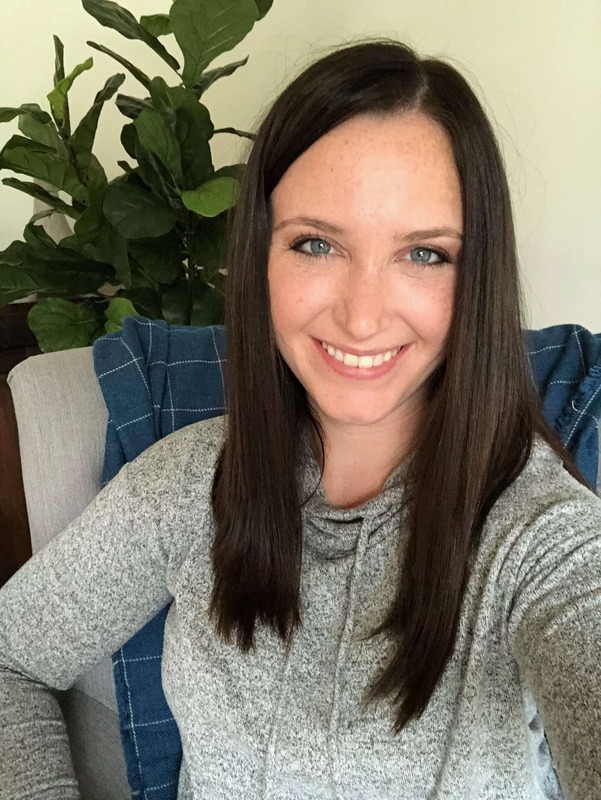 Some links contain affiliate links, meaning at no extra cost to you I earn a small commission if you purchase the product through this link to keep this blog up and running!